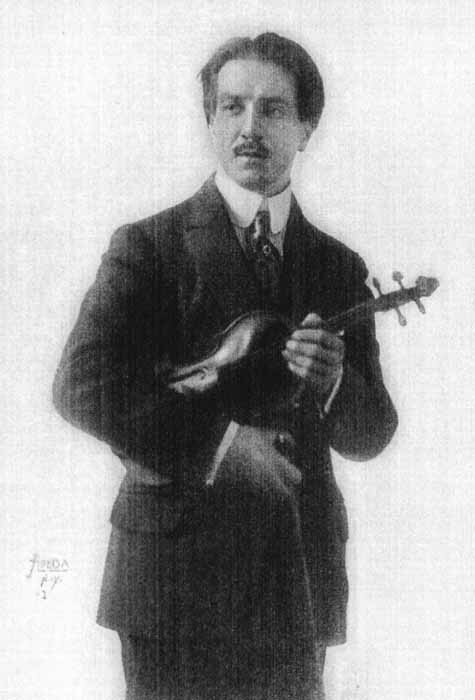 Jacques Thibaud, whose gifts as an interpreting artist have brought him so many friends and admirers in the United States, is the foremost representative of the modern French school of violin-playing. And as such he has held his own ever since, at the age of twenty, he resigned his rank as concert-master of the Colonne orchestra, to dedicate his talents exclusively to the concert stage. So great an authority as the last edition of the Riemann Musik-Lexicon cannot forbear, even in 1915, to emphasize his "technic, absolutely developed in its every detail, and his fiery and poetic manner of interpretation." But Mr. Thibaud does not see any great difference between the ideals of la grande école belge, that of Vieuxtemps, De Bériot, Léonard, Massart and Marsick, whose greatest present-day exponent is Eugène Ysaye, and the French. Himself a pupil of Marsick, he inherited the French traditions of Alard through his father, who was Alard's pupil and handed them on to his son. "The two schools have married and are as one," declared Mr. Thibaud. "They may differ in the interpretation of music, but to me they seem to have merged so far as their systems of finger technic, bowing and tone production goes. "You ask me what is most difficult in playing the violin? It is bowing. Bowing makes up approximately eighty per cent. of the sum total of violinistic difficulties. One reason for it is that many teachers with excellent ideas on the subject present it to their pupils in too complicated a manner. The bow must be used in an absolutely natural way, and over elaboration in explaining what should be a simple and natural development often prevents the student from securing a good bowing, the end in view. Sarasate (he was an intimate friend of mine) always used his bow in the most natural way, his control of it was unsought and unconscious. Were I a teacher I should not say: 'You must bow as I do'; but rather: 'Find the way of bowing most convenient and natural to you and use it!' Bowing is largely a physical and individual matter. I am slender but have long, large fingers; Kreisler is a larger man than I am but his fingers are small. It stands to reason that there must be a difference in the way in which we hold and use the bow. The difference between a great and a mediocre teacher lies in the fact that the first recognizes that bowing is an individual matter, different in the case of each individual pupil; and that the greatest perfection is attained by the development of the individual's capabilities within his own norm. "Marsick was a teacher of this type. At each of the lessons I took from him at the Conservatoire (we went to him three days a week), he would give me a new étude—Gavinies, Rode, Fiorillo, Dont—to prepare for the next lesson. We also studied all of Paganini, and works by Ernst and Spohr. For our bow technic he employed difficult passages made into études. Scales—the violinist's daily bread—we practiced day in, day out. Marsick played the piano well, and could improvise marvelous accompaniments on his violin when his pupils played. I continued my studies with Marsick even after I left the Conservatoire. With him I believe that three essentials—absolute purity of pitch, equality of tone and sonority of tone, in connection with the bow—are the base on which everything else rests. "Sevčik's purely soulless and mechanical system has undoubtedly produced a number of excellent mechanicians of the violin. But it has just as unquestionably killed real talent. Kubelik—there was a genuinely talented violinist! If he had had another teacher instead of Sevčik he would have been great, for he had great gifts. Even as it was he played well, but I consider him one of Sevčik's victims. As an illustration of how the technical point of view is thrust to the fore by this system I remember some fifteen years ago Kubelik and I were staying at the same villa in Monte-Carlo, where we were to play the Beethoven concerto, each of us, in concert, two days apart. Kubelik spent the live-long day before the concert practicing Sevčik exercises. I read and studied Beethoven's score, but did not touch my violin. I went to hear Kubelik play the concerto, and he played it well; but then, so did I, when my turn came. And I feel sure I got more out of it musically and spiritually, than I would have if instead of concentrating on its meaning, its musical message, I had prepared the concerto as a problem in violin mechanics whose key was contained in a number of dry technical exercises arbitrarily laid down. "Technic, in the case of the more advanced violinist, should not have a place in the foreground of his consciousness. I heard Rubinstein play when a boy—what did his false notes amount to compared with his wonderful manner of disclosing the spirit of the things he played! Planté, the Parisian pianist, a kind of keyboard cyclone, once expressed the idea admirably to an English society lady. She had told him he was a greater pianist than Rubinstein, because the latter played so many wrong notes. 'Ah, Madame,' answered Planté, 'I would rather be able to play Rubinstein's wrong notes than all my own correct ones.' A violinist's natural manner of playing is the one he should cultivate; since it is individual, it really represents him. And a teacher or a colleague of greater fame does him no kindness if he encourages him to distrust his own powers by too good naturedly 'showing' him how to do this, that or the other. I mean, when the student can work out his problem himself at the expense of a little initiative. "When I was younger I once had to play Bach's G minor fugue at a concert in Brussels. I was living at Ysaye's home, and since I had never played the composition in public before, I began to worry about its interpretation. So I asked Ysaye (thinking he would simply show me), 'How ought I to play this fugue?' The Master reflected a moment and then dashed my hopes by answering: 'Tu m'embêtes!' (You bore me!) 'This fugue should be played well, that's all!' At first I was angry, but thinking it over, I realized that if he had shown me, I would have played it just as he did; while what he wanted me to do was to work out my own version, and depend on my own initiative—which I did, for I had no choice. It is by means of concentration on the higher, the interpretative phases of one's Art that the technical side takes its proper, secondary place. Technic does not exist for me in the sense of a certain quantity of mechanical work which I must do. I find it out of the question to do absolutely mechanical technical work of any length of time. In realizing the three essentials of good violin playing which I have already mentioned, Ysaye and Sarasate are my ideals. "All really good violinists are good artists. Sarasate, whom I knew so intimately and remember so well, was a pupil of Alard (my father's teacher). He literally sang on the violin, like a nightingale. His purity of intonation was remarkable; and his technical facility was the most extraordinary that I have ever seen. He handled his bow with unbelievable skill. And when he played, the unassuming grace of his movements won the hearts of his audiences and increased the enthusiasm awakened by his tremendous talent. "We other violinists, all of us, occasionally play a false note, for we are not infallible; we may flat a little or sharp a little. But never, as often as I have heard Sarasate play, did I ever hear him play a wrong note, one not in perfect pitch. His Spanish things he played like a god! And he had a wonderful gift of phrasing which gave a charm hard to define to whatever he played. And playing in quartet—the greatest solo violinist does not always shine in this genre—he was admirable. Though he played all the standard repertory, Bach, Beethoven, etc., I can never forget his exquisite rendering of modern works, especially of a little composition by Raff, called La Fée d'Amour. He was the first to play the violin concertos of Saint-Saëns, Lalo and Max Bruch. They were all written for him, and I doubt whether they would have been composed had not Sarasate been there to play them. Of course, in his own Spanish music he was unexcelled—a whole school of violin playing was born and died with him! He had a hobby for collecting canes. He had hundreds of them of all kinds, and every sovereign in Europe had contributed to his collection. I know Queen Christina of Spain gave him no less than twenty. He once gave me a couple of his canes, a great sign of favor with him. I have often played quartet with Sarasate, for he adored quartet playing, and these occasions are among my treasured memories. "My violin? It is a Stradivarius—the same which once belonged to the celebrated Baillot. I think it is good for a violin to rest, so during the three months when I am not playing in concert, I send my Stradivarius away to the instrument maker's, and only take it out about a month before I begin to play again in public. What do I use in the meantime? Caressa, the best violin maker in Paris, made me an exact copy of my own Strad, exact in every little detail. It is so good that sometimes, when circumstances compelled me to, I have used it in concert, though it lacks the tone-quality of the original. This under-study violin I can use for practice, and when I go back to the original, as far as the handling of the instrument is concerned, I never know the difference. "But I do not think that every one plays to the best advantage on a Strad. I'm a believer in the theory that there are natural Guarnerius players and natural Stradivarius players; that certain artists do their best with the one, and certain others with the other. And I also believe that any one who is 'equally' good in both, is great on neither. The reason I believe in Guarnerius players and Stradivarius players as distinct is this. Some years ago I had a sudden call to play in Ostende. It was a concert engagement which I had overlooked, and when it was recalled to me I was playing golf in Brittany. I at once hurried to Paris to get my violin from Caressa, with whom I had left it, but—his safe, in which it had been put, and to which he only had the combination, was locked. Caressa himself was in Milan. I telegraphed him but found that he could not get back in time before the concert to release my violin. So I telegraphed Ysaye at Namur, to ask if he could loan me a violin for the concert. 'Certainly' he wired back. So I hurried to his home and, with his usual generosity, he insisted on my taking both his treasured Guarnerius and his 'Hercules' Strad (afterwards stolen from him in Russia), in order that I might have my choice. His brother-in-law and some friends accompanied me from Namur to Ostende—no great distance—to hear the concert. Well, I played the Guarnerius at rehearsal, and when it was over, every one said to me, 'Why, what is the matter with your fiddle? (It was the one Ysaye always used.) It has no tone at all.' At the concert I played the Strad and secured a big tone that filled the hall, as every one assured me. When I brought back the violins to Ysaye I mentioned the circumstance to him, and he was so surprised and interested that he took them from the cases and played a bit, first on one, then on the other, a number of times. And invariably when he played the Strad (which, by the way, he had not used for years) he, Ysaye—imagine it!—could develop only a small tone; and when he played the Guarnerius, he never failed to develop that great, sonorous tone we all know and love so well. Take Sarasate, when he lived, Elman, myself—we all have the habit of the Stradivarius: on the other hand Ysaye and Kreisler are Guarnerius players par excellence! "Yes, I use a wire E string. Before I found out about them I had no end of trouble. In New Orleans I snapped seven gut strings at a single concert. Some say that you can tell the difference, when listening, between a gut and a wire E. I cannot, and I know a good many others who cannot. After my last New York recital I had tea with Ysaye, who had done me the honor of attending it. 'What strings do you use?' he asked me, à propos to nothing in particular. When I told him I used a wire E he confessed that he could not have told the difference. And, in fact, he has adopted the wire E just like Kreisler, Maud Powell and others, and has told me that he is charmed with it—for Ysaye has had a great deal of trouble with his strings. I shall continue to use them even after the war, when it will be possible to obtain good gut strings again. "The whole question of programs and program-making is an intricate one. In my opinion the usual recital program, piano, song or violin, is too long. The public likes the recital by a single vocal or instrumental artist, and financially and for other practical reasons the artist, too, is better satisfied with them. But are they artistically altogether satisfactory? I should like to hear Paderewski and Ysaye, Bauer and Casals, Kreisler and Hofmann all playing at the same recital. What a variety, what a wealth of contrasting artistic enjoyment such a concert would afford. There is nothing that is so enjoyable for the true artist as ensemble playing with his peers. Solo playing seems quite unimportant beside it. "I recall as the most perfect and beautiful of all my musical memories, a string quartet and quintet (with piano) session in Paris, in my own home, where we played four of the loveliest chamber music works ever written in the following combination: Beethoven's 7th quartet (Ysaye, Vo. I, myself, Vo. II, Kreisler, viola—he plays it remarkably well—and Casals, 'cello); the Schumann quartet (Kreisler, Vo. I, Ysaye, Vo. II, myself, viola and Casals, 'cello); and the Mozart G major quartet (myself, Vo. I, Kreisler, Vo. II, Ysaye, viola and Casals, 'cello). Then we telephoned to Pugno, who came over and joined us and, after an excellent dinner, we played the César Franck piano quintet. It was the most enjoyable musical day of my life. A concert manager offered us a fortune to play in this combination—just two concerts in every capital in Europe. "We have not enough variety in our concert programs—not enough collaboration. The truth is our form of concert, which usually introduces only one instrument or one group of instruments, such as the string quartet, is too uniform in color. I can enjoy playing a recital program of virtuose violin pieces well enough; but I cannot help fearing that many find it too unicolored. Practical considerations do not do away with the truth of an artistic contention, though they may often prevent its realization. What I enjoy most, musically, is to play together with another good artist. That is why I have had such great artistic pleasure in the joint recitals I have given with Harold Bauer. We could play things that were really worth while for each of us—for the piano parts of the modern sonatas call for a virtuose technical and musical equipment, and I have had more satisfaction from this ensemble work than I would have had in playing a long list of solo pieces. Either of these programs is artistic from the standpoint of the compositions represented. And even these programs are not too short—they take almost two hours to play; while for my ideal program an hour-and-a-half of beautiful music would suffice. You will notice that I believe in playing the big, fine things in music; in serving roasts rather than too many hors d'oeuvres and pastry. "On a solo program, of course, one must make some concessions. When I play a violin concerto it seems fair enough to give the public three or four nice little things, but—always pieces which are truly musical, not such as are only 'ear-ticklers.' Kreisler—he has a great talent for transcription—has made charming arrangements. So has Tivadar Nachéz, of older things, and Arthur Hartmann. These one can play as well as shorter numbers by Vieuxtemps and Wieniawski that are delightful, such as the former's Ballade et Polonaise, though I know of musical purists who disapprove of it. I consider this Polonaise on a level with Chopin's. Or take, in the virtuoso field, Sarasate's Gypsy Airs—they are equal to any Liszt Rhapsody. I have only recently discovered that Ysaye—my life-long friend—has written some wonderful original compositions: a Poème élégiaque, a Chant d'hiver, an Extase and a ms. trio for two violins and alto that is marvelous. These pieces were an absolute find for me, with the exception of the lovely Chant d'hiver, which I have already played in Paris, Brussels, Amsterdam and Berlin, and expect to make a feature of my programs this winter. You see, Ysaye is so modest about his own compositions that he does not attempt to 'push' them, even with his friends, hence they are not nearly as well known as they should be. "I never play operatic transcriptions and never will. The music of the opera, no matter how fine, appears to me to have its proper place on the stage—it seems out of place on the violin recital program. The artist cannot be too careful in the choice of his shorter program pieces. And he can profit by the example set by some of the foremost violinists of the day. Ysaye, that great apostle of the truly musical, is a shining example. It is sad to see certain young artists of genuine talent disregard the remarkable work of their great contemporary, and secure easily gained triumphs with compositions whose musical value is nil. "Sometimes the wish to educate the public, to give it a high standard of appreciation, leads an artist astray. I heard a well-known German violinist play in Berlin five years ago, and what do you suppose played? Beethoven's Trios transcribed for violin and piano! The last thing in the world to play! And there was, to my astonishment, no critical disapproval of what he did. I regard it as little less than a crime. "But this whole question of programs and repertory is one without end. Which of the great concertos do I prefer? That is a difficult question to answer off-hand. But I can easily tell you which I like least. It is the Tschaikovsky violin concerto—- I would not exchange the first ten measures of Vieuxtemps's Fourth concerto for the whole of Tschaikovsky's, that is from the musical point of view. I have heard the Tschaikovsky played magnificently by Auer and by Elman; but I consider it the worst thing the composer has written."